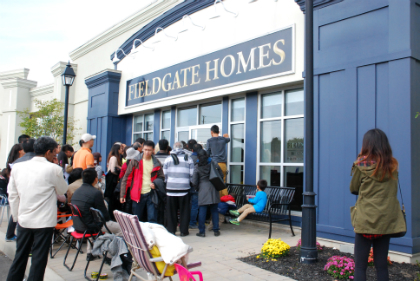 Fieldgate Homes is very excited to have released our fourth and final release at Upper Unionville in Markham on September 20, 2014! 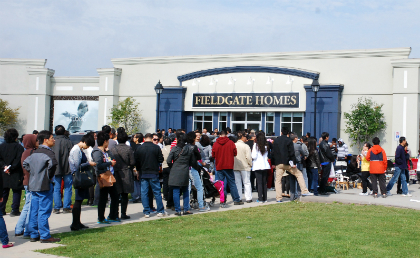 Hundreds came out to the sales centre at Kennedy and 16th Avenue for the release of the brand new collection of detached singles and townhomes. With very reasonable prices, home buyers were eager to get the first glimpse of the new homes. After the busy Saturday, we still have a great selection of townhomes remaining with early closings. Earlier this year in January, we released a special collection of just 18 singles and semis. Even though the weather had dropped to -20 degrees celsius, people still started lining up a day before. 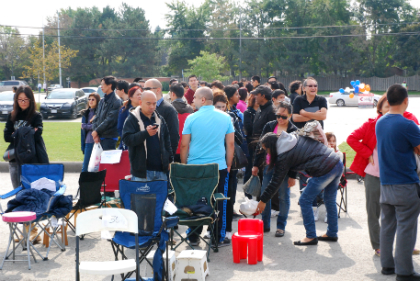 Unbelievably, home buyers started lining up last Tuesday, but they were turned away and told to come back on Thursday! We’ve seen some pretty long line-ups for our releases, but we think that sets the record! With people lining up days before the final release and well over 700 homes sold at Upper Unionville, it is without a doubt Markham’s most highly sought after community. 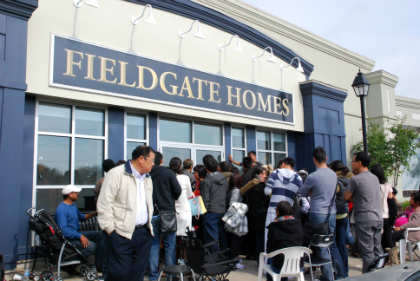 The whole Fieldgate team thanks all the new home buyers who have chosen to live at Upper Unionville. We can not wait to welcome you to your new home!